The sponsorship by an Australian family member is a grand way for migrating to this attractive nation. If the candidate has an Australian relation or close family member who is willing to sponsor their request or if they have a skilled profession which is presently required in the nation, then you can live and work in Australia immediately. The list of skilled occupations which are required by the government of Australia will frequently change, so it’s always better to be updated about the latest immigration news. 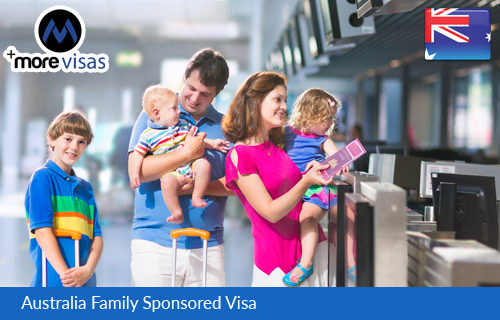 In order to gain a family sponsored visa, the sponsor should support the candidate. This family sponsored visa, is based on a points-based system. Under this system that candidates are evaluated on a number of aspects which includes their English language proficiency, their educational skills and other qualifications. These visas need the candidate to be nominating a sponsor who will be responsible for their application. The sponsor is supposed to be above the age of 18 and able to show a capability to economically support the applicant until their stay in the country completes. In Addition to the points-based judgment, the candidate needs to be under the age of 45 and have been in a current paid job of 20 hours or more per week. Simultaneously they also need must show that they have the appropriate experience or qualification to take up the employment for which they are being sponsored. The candidates of a need to have an employment offer from an employer of Australia in order to get accepted. Who can Apply for the Family Sponsored Visa? Under this family immigration system, the eligible persons are allowed to sponsor their family members to join them in Australia on a temporary or permanent basis. Both the sponsor and candidate are required to meet the some eligibility factors which vary based on which visa type they are eligible for. The supporter will be required to provide sponsorship to the candidate for up to two years from the time they arrive the country. The candidates are required to meet some eligibility criteria for the visa in question which comprises of meeting the balance-of-family test and providing biometric identification and gratifying the health and character requirements. Contributory parent temporary and permanent visa. Contributory aged patent temporary and permanent visa. If you are interested to migrate to Australia, please fill out our Enquiry Form, so that one of our visa expert will get back to you.